If you find a lost dog or cat – please bring it to the SPCA, or keep it safely in your home or yard and call us to come and collect it. We will try to trace the owner. You can assist by asking round the neighbourhood in which the animal was found to see if anyone is missing their pet. The SPCA shelters stray animasl for 7 days before they become available for adoption. A “lost and found” registry is kept and owners hopefully claim their pets within this period. A joyful reunion is one of the highlights of our day! If you have lost your dog or cat, please visit to check whether he or she has been brought in to the SPCA. You are welcome to phone first, but please understand that it is extremely difficult to describe animals over the telephone and there is no substitute for identifying your pet face-to-face. KEEP YOUR DOG OR CAT SAFE! Remember, sterilised pets are less like to wander away from home and get lost. Please ensure that all pets have a collar with a name tag and your number on. Also, having a micro-chip implanted in the loose skin on the back of your pet's neck is the best way to make sure you never lose a beloved dog or cat. Please also visit or call the office on 041 992 3016 oe 041 922 4528, to fill in a MISSING FORM. Please also call Save-a-pet on 041 372 1780 and notify them that your pet is missing. They are located in Greenbushes Port Elizabeth and they are open Monday-Sunday from 8am-4pm. Click here to connect with them on Facebook. Please also call the Animal Welfare Society on 041 581 2633 and notify them that your pet is missing. They are located in Victoria Drive, Walmer, Port Elizabeth and they are open weekdays (9am-4pm) and weekends (10am-3pm). Click here to connect with them on Facebook. · Please post your missing albums on the following Facebook pages and groups for maximum visability for your missing pet! 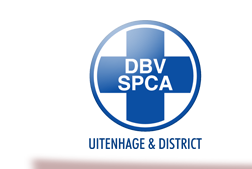 Eastern Cape Animals Group, Lost & Found EC Group, Lost & Found PE Group, Animal Welfare Port Elizabeth Group and Animals Port Elizabeth Page.